Credit Card debt is a common debt that families have to deal with today. It is very easy to get into credit card debt but getting out of credit card debt can be a lot harder. The only way to get rid of credit card debt is to stop using your credit cards! Cut them up if you have to. You may leave one for emergencies only. Write down the monthly payments of each card, the interest rate of each credit card and the total amount owing on each card. Start paying off the highest interest rate credit card first! Make a spending budget, be sure to include all monthly credit card payments in your budget. Any extra money left over monthly should be split up amongst your cards to lower your credit card debt. Many people find that if you contact the credit card company and explain your situation they will lower interest rates for you or even give you other options to pay it off quicker. Be sure to have cash in your pocket at all times to avoid any unnecessary purchases on your cards to help with your debt elimination. Do not use your credit cards for advance money withdraws if you want to get rid of debt. These usually have high fees and a higher interest rate for the advanced cash. Find a debt counselor to help you manage your debt and to learn some tips if needed. You may even think about consolidating so you get one monthly payment that covers all of your cards. This payment is often more manageable and lower then if you were to pay them all separately. If you are unable to pay at least the minimum amount on your credit cards monthly then credit card debt consolidation may be the best option for you. Once a credit card has been paid of be sure to cancel it! You don’t need to start getting into debt again. If you choose to keep one credit card then be sure you can pay the balance off monthly. 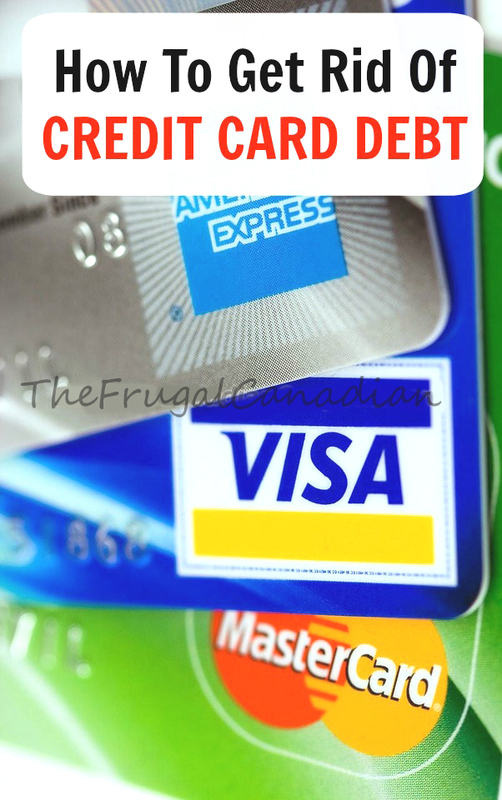 Hopefully this has given you some ideas on how to get rid of your credit card debt. Good luck!